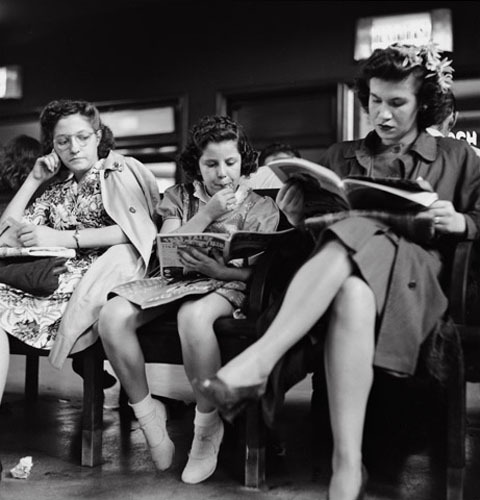 Passengers in the waiting room of the Greyhound bus terminal. Pittsburgh, September 1943. Esther Bubley.